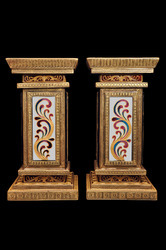 Offering you a complete choice of products which include big wall shelp console table, bridge console table front view, shree om swastik console table set, big statue pedestal console table and bridge console table side view. 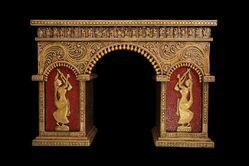 Hanging Hand Crafted Big Wall shelp Console Table in Ceramic Crush Material With Wooden Base, Fine Hand Crafted Art Work, Washable Material ,With Natural Deco Paint finish. 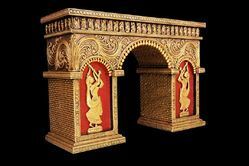 Hand Crafted Bidge Console Table Front in Ceramic Crush Material With Wooden Base, Fine Hand Crafted Art Work, Washable Material , With Natural Deco Paint finish. Use : A Natural Decorative Panel with Crafted, Which can be use to Welcome. 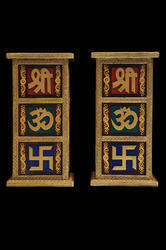 Hand Crafted Shree OM Swastik Console Table Set in Ceramic Crush Material With Wooden Base, Fine Hand Crafted Art Work, Washable Material With Natural Deco Paint finish. 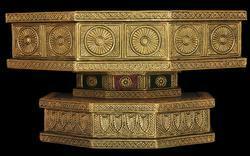 Looking for Console Tables ?